Acquisitions are often risky and stressful for companies, especially small companies. 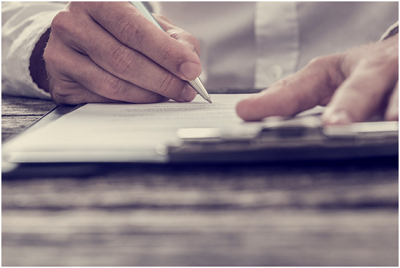 There are a lot of steps involved and companies should never attempt to conduct an acquisition without consulting with an experienced Mergers and Acquisitions attorney in Los Angeles. What’s Involved in an Acquisition? In basic terms, an acquisition is when one company purchases all (or substantial amount) of another company’s stock in order to gain control or substantially all of the assets of another company. Typically, as a part of the exchange, the acquiring company will purchase the acquired company’s stock or assets, which allows the acquiring company to make decisions without the approval of the acquired company’s shareholders. Companies perform acquisitions for numerous reasons. Some may seek to achieve a greater market share, while others are looking into increasing synergy or investing in new niche offerings.No matter the reason behind the transaction, both parties must follow the applicable state corporate laws and complete a proper due diligence investigation. Before acquiring a company, the board has a fiduciary duty to have a thorough due diligence investigation conducted of the target company. To that end, it is in the best business practice to gain a full and proficient understanding of the target company. In general, due diligence is the process in which a buyer or seller performs a comprehensive appraisal and audit of a business before executing a transaction. For the buyer, this process includes in-depth examinations of all assets and liabilities, including without limitation,contracts, tax matters, intellectual property matters, employment matters, litigation matters, and financial statements. For the seller, the investigation includes an in-depth examination of the buyer, especially if the seller is receiving equity in the buyer entity. A proper due diligence will identify problems, and potential problems, before they cost money, time, or goodwill. Ideally, the targeted company will have clean and organized financial statements and corporate documents. This not only allows for an easier investigation, but will also boost confidence in executing the deal. Due diligence investigations should also uncover any past, current, and potential lawsuits as well as other liabilities that can affect the performance of the target in the future. Depending on the size and maturity of the company, this could be a relatively easy task or can takes weeks of time and investigation. An experienced Mergers and Acquisitions attorney in Los Angeles can protect your business by ensuring that all aspects of a due diligence investigation are completed in an accurate and sufficient manner. Thus, it is in your best interest to work with one of the leading corporate law firms in Los Angeles such as the highly reputable Hakim Law Group, whom will help you succeed every step of the way. For further information or to schedule a consultation please contact HLG at 310.993.2203 or visit www.HakimLawGroup.com to learn more.